The Mission seeks to cover nearly 10 crore population in 100 cities; but it suffers from lack of consultation, which has resulted in eviction, displacement of the poor and farmers. New Delhi: The most recent report by Housing and Land Rights Network (HLRN) on the Smart Cities Mission has pointed to the lack of integrated approach and focus on marginalised communities in the scheme. It has called for a more inclusive approach by creating ‘human rights habitats’ that would ensure that the poor and marginalised are not excluded, guarantee their democratic participation in governance, uphold their fundamental rights and also provide improved living spaces to them. Speaking at the launch of the report titled “India’s Smart Cities Mission: Smart for Whom? 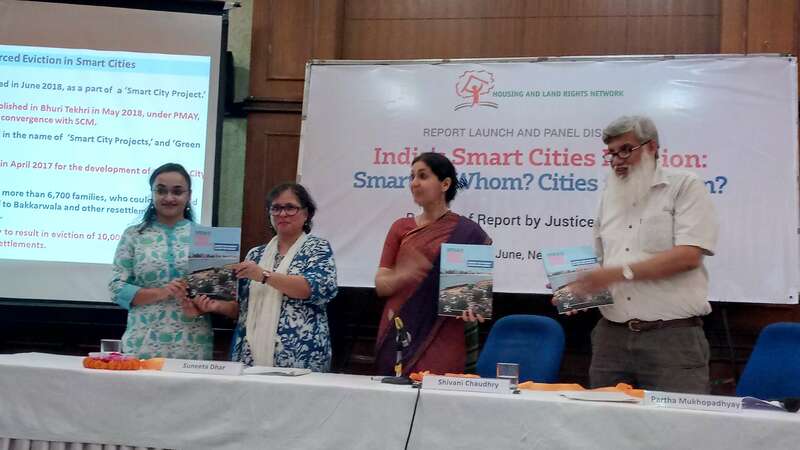 Cities for Whom?” in the national capital on June 22, executive director of HLRN India, Shivani Chaudhry, questioned the manner in which these cities have been planned and are being implemented. “Are we headed towards creating ‘smart enclaves’ or inclusive cities? Are ‘smart cities’ the way for India to meet its legal and moral obligations, including implementation of the Sustainable Development Goals, or would a more equitable paradigm focusing on the entire country have been a more prudent alternative,” she asked. Chaudhry said the “mission requires a fundamental re-envisioning exercise that places people, not technology and profit, at the centre.” She also wondered if spending nearly Rs 2 lakh crore on a scheme that would benefit just 8% of the population was really justified. “Housing and Land Rights Network believes that it is important for the Indian government, at both the central and state levels, to adopt a strong human rights approach in all its policies and schemes, including the Smart Cities Mission,” she said. The study highlighted several aspects of the Mission including its “exclusionary approach”. It said by focusing on only 100 cities of the country and select areas within those cities, the Smart Cities Mission had demonstrated a “restrictive approach to urban development”. Of the total proposed investment of Rs 2.04 lakh crore in smart cities, 80% will be spent on area-based development (ABD) which is less than 5% for 49 of the 86 cities for which information was available, the report said. Pointing to the government data on how 99.5 million people will be covered by Mission projects, the report said this amounts to just 8% of India’s total population or 22% of the urban population. Referring to how the per capita investment on ABD varies from Rs 32,159 being spent per person in Bengaluru to Rs 43.3 lakh per person in Naya Raipur, the study noted that “the Mission thus lacks consistency and a clear rationale in choice of projects and investment decisions”. As for the implementation of the projects, the study quoted a March 2018 report of the Standing Committee of Parliament which had claimed that only 1.83 % of the Rs 9,943 crore released for the Smart Cities Mission had been utilised. Also, as of March 2018, projects worth Rs 4,583 crore (3% of the total cost of identified projects of Rs 139,038 crore) had been completed. The study also noted that in the Smart Cities Mission there is limited focus on marginalised groups, including scheduled castes, scheduled tribes and other minorities. “In particular, the silence on caste-based discrimination is glaring. While issues related to women, children, persons with disabilities, and older persons find some mention in most smart city proposals, the Mission does not incorporate a consistent rights-based or substantive equality approach to address structural discrimination and violence against these groups in cities,” it said. Pointing out that in Delhi, the New Delhi Municipal Council area, which had relatively better infrastructure and more funds, has been chosen for the Smart City project, Dhar questioned why the peripheral areas that were in greater need of infrastructure and facilities were not chosen. With a working group having been constituted to discuss and overcome the Mission’s many shortcomings, Dhar demanded that the smart cities should be seen from the eyes of those who are most marginalised. The study said while there was some level of “engagement” with residents in the development of Smart City proposals, the people’s participation, especially from low-income communities, was generally “not adequate”. It said there were also no tools to evaluate if the inputs collated during public consultations had been factored into the final proposals and selection of ‘smart city’ projects in each city. Further, the study said the lack of adequate standards to guide project development and implementation, including for housing, water, sanitation, health, and environmental sustainability, had raised questions about whether the Mission will be able to deliver on its aims. The HLRN study said while housing for economically weaker sections (EWS) and low-income groups (LIG) has been identified as an area of concern in almost all proposals, none of the cities have recognised housing as a human right or included standards of ‘adequate housing’ for their projects. The goal of several cities to become ‘slum-free’ without including concomitant indicators – such as the number of houses demolished or the number of homeless persons recorded in the city every year – to assess the realisation of this target, could promote evictions and the destruction of low-income settlements, it cautioned. The report also said evictions have been reported from several ‘smart cities’. In 2017, it recalled, there were forced evictions and demolitions of homes in 32 of the 99 ‘smart cities’. Of these while some were directly linked to ‘smart city’ projects, others were carried out in the name of ‘city beautification’ or ‘slum clearance.’ With eight smart cities also proposing greenfield development, the report said this could increase land acquisition and result in displacement of farmers and other rural communities. The report said the Special Purpose Vehicle (SPV) to implement the Mission has been incorporated under the Companies Act 2013 and this was a violation of The Constitution (Seventy-fourth Amendment) Act 1992, which divests power in local governments and urban local bodies. “The SPV’s competing governance mechanism could substantively dilute local democracy with the private sector playing a greater role in city management,” it said. In this regard, senior fellow at Centre for Policy Research, Partha Mukhopadhyay, said the key to smartness lies in the ability to make decisions. But in the case of Smart Cities, he said it is the SPV which is created to implement the project that takes a call on what needs to be done. In most cases, he said, the decisions are taken by bureaucrats and there are only a few examples, like some in Maharashtra, where the elected representatives are involved closely with the planning and implementation of the project. He said, thankfully, the Smart City model had initially allowed some level of flexibility to the cities to plan themselves freely while the sustainable development goals provide the baseline or minimum floor for the facilities that needed to be factored in. “This report is a critical but thorough and extensive examination of the government’s Smart Cities Mission. It brings together a wide array of sources, including a valuable compilation of parliamentary questions related to smart cities, to try and answer some very important questions relating to the nature of citizenship and governance in our cities, and provides a perspective on housing and human rights that link to India’s international commitments. 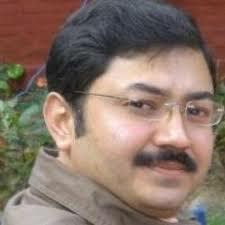 Regardless of one’s position with respect to smart cities, this is a report that should be engaged with,” Mukhopadhyay said. 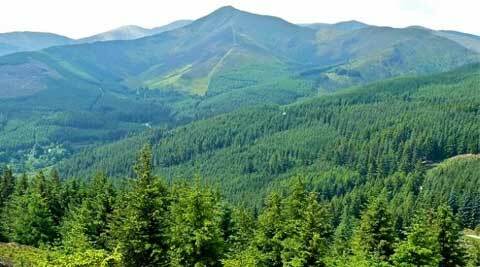 The report has also raised environmental concerns and stated that smart cities development could also pose threats of increased e-waste and loss of forest cover in the pursuit of greenfield development and city-based infrastructure projects. (PMAY) or Housing for All–2022 scheme and the National Urban Livelihoods Mission (NULM). “A review of these schemes reveals a multiplicity of targets and overlapping areas of intervention. Ninety-two of the 99 selected ‘smart cities’ are also covered under AMRUT, while most of the housing projects in ‘smart cities’ are PMAY projects and shelters for the homeless are being funded by NULM. The question then is: What is the value added by the Smart Cities Mission,” the study said. As for the positive developments emerging from the Mission, the report said these include restoration of heritage sites in Gwalior, solar energy achievements in Diu, child-friendly initiatives in Bhubaneswar, a waste management project in Jabalpur, and toilet construction in Kakinada. However, in light of the numerous concerns and shortcomings surrounding the Mission, the study had recommended that there should be a human rights-based implementation and monitoring framework to assess the achievement of targets and to ensure that all ‘smart city’ projects comply with national and international law and promote human rights and environmental sustainability. The study has also suggested that the Mission should develop a special focus on the needs, concerns and human rights of marginalised individuals, groups and communities, including children, women, scheduled castes, scheduled tribes, migrants, homeless persons, domestic workers, persons with disabilities, religious and sexual minorities and other excluded groups. Stating that smart cities should define ‘affordable housing’ with clear income-based criteria, the study has also urged that ‘rehabilitation’ and ‘slum-free city’ projects should not be used as an excuse to demolish low-income settlements. Also, it said measures must be taken to prevent forced evictions, forced relocation and displacement. It has also sought that the SPV must work within the framework of democracy provided by the Constitution of India and must respect and not circumvent democratically elected local governments and institutions. On the role of the corporate sector, the study has demanded that it should be “regulated” to ensure compliance with laws and “privatisation of essential services must be prevented”.